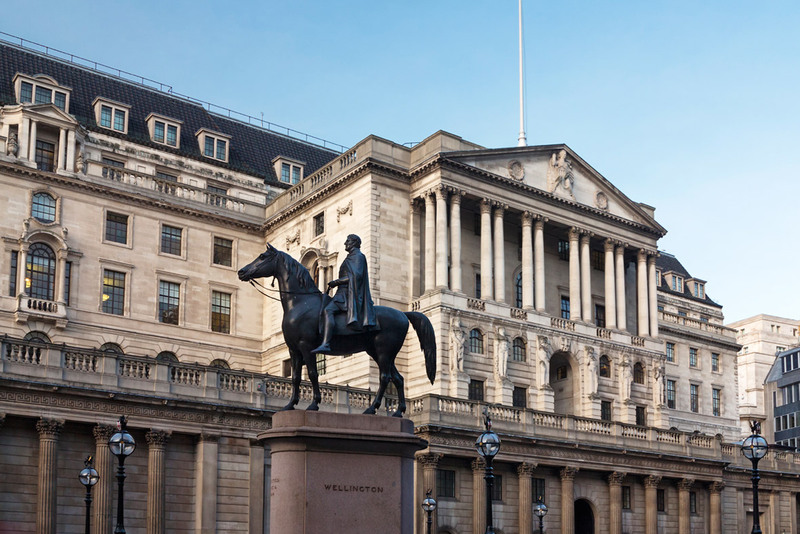 Bank policymakers voted unanimously to keep interest rates on hold at 0.5% at their latest meeting. However, they said rates would need to rise “earlier” and by a “somewhat greater extent” than they thought at their last review in November. Economists think the next rate rise could come as soon as May. The value of the pound jumped by about 1% against both the dollar and the euro in reaction to the Bank’s comments. Higher interest rates have an important effect on households and the economy. Around 8.1 million UK households have a mortgage, and of those, almost half are on either a standard variable rate or a tracker rate. 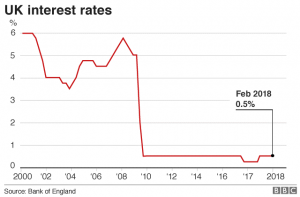 Interest rates on those types of mortgages would be likely to match any increase in official rates made by the Bank of England. But for savers, a move higher by the Bank of England could be a bonus, as High Street banks generally have to raise their rates of interest. In November, the Bank raised the cost of borrowing for the first time in more than 10 years – from 0.25% to 0.5%. Its forecasts at the time indicated there could be two more increases of 0.25% over three years. But it now appears there could be a third increase and those rises could be sooner than expected. The Bank noted that the global economy was expanding at the fastest pace in seven years and that the UK was benefiting from that growth. It also thinks that UK wage growth will start to pick up, giving the economy a further boost. As a result, the Bank has raised its growth forecast for the UK economy to 1.7% this year, from its previous forecast of 1.5% made in November. But it says its forecasts are based on a “smooth” adjustment to Britain’s departure from the European Union. Higher rates mean that if you haven’t fixed you may up paying more for your mortgage each month. Luckily if you fix your mortgage before the rates increase you may be able to save on the potential rates increase.